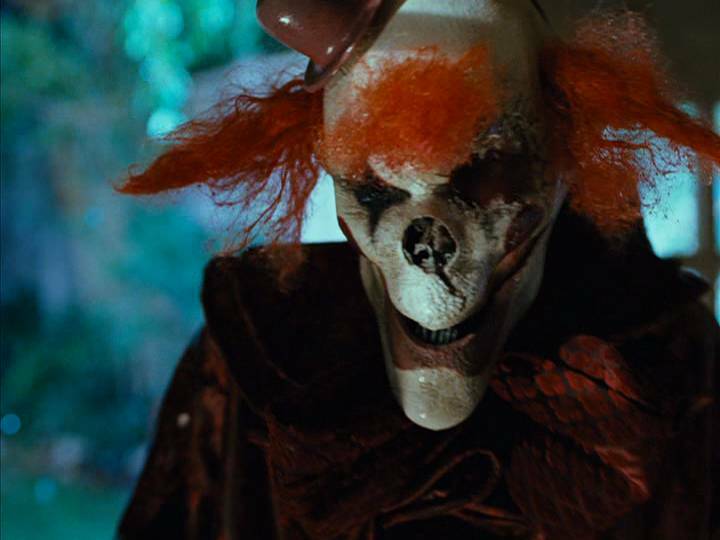 The Top 5 Creepiest Clown Villains in Horror History! While most children enjoy seeing clowns in cartoons and at public events, usually that joy begins to fade when they grow older. Why? Because these children have now realized that there is often a darker side to clowns….a side that becomes more and more prevalent in horror films and television shows. For people who are afraid of both clowns and extraterrestrials, this 1988 film is definitely not for you. Aliens, who have taken on the guise of innocent circus clowns, slowly begin to take over a small town by capturing and murdering the locals. Despite the onslaught of murders, many of the townsfolk fail to realize the clowns are the culprits due to their cartoonish appearances and weapons. 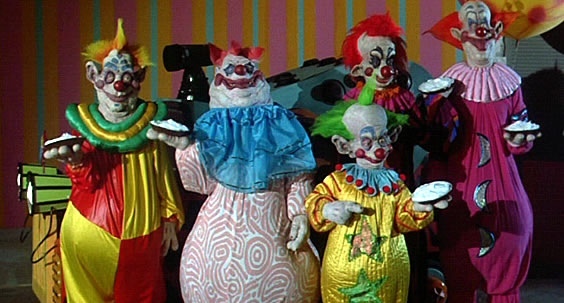 The clowns featured in this film have lumpy, grotesque faces one might expect to encounter in a bad acid trip. The juxtaposition of their colorful, playful appearances to their thirst for blood is sure to creep any viewer out—even those who have no aversion to clowns whatsoever. Sometimes revenge is a dish best served cold…and bloody. Amusement is a chilling 2008 film about a young man who decides to get even with the three girls who used to torment and tease him when he was a little boy. Deemed only as The Laugh, the young man dons a creepy clown outfit while he tortures the three women. While The Laugh’s issues are very humanized, his attire is anything but. 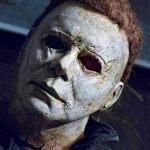 The angular white mask and black eye makeup makes him a very creepy character even if you haven’t seen the movie yet. 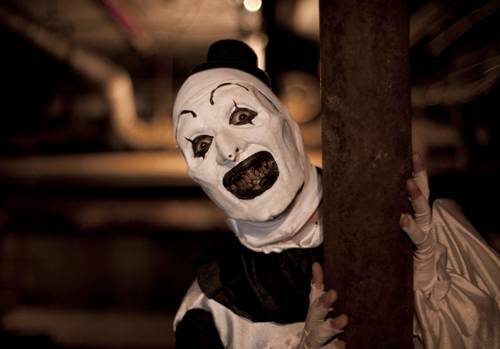 What makes Art the clown so terrifying? Well, unlike most clowns Art never bothers to pretend to be a happy go lucky character. The 2013 film centers around a babysitter who finds a VHS tape in one of the children’s bags of candy. The moment she pops the tape in, the audience is transported into three vignette style stories where Art the clown can be seen brutally murdering his victims. If that wasn’t scary enough, the babysitter starts to notice odd things around the house as she watches the grotesque home movie. It doesn’t take long for her to realize that finding the tape in the bag of candy was no macabre mistake. Art the clown planned the whole thing as a sick prelude to what is about to occur. Pennywise the clown has been ranked as the number one scariest clown since Stephen King’s It came out in 1990—and with good reason. In this horror classic, a group of outcast kids must battle against a demon, who takes the disguise of a clown, in order to save their own lives. 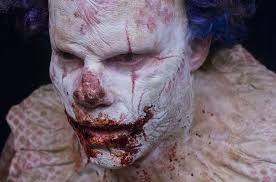 The two part series goes back and forth as the group reunites to battle Pennywise once more thirty years later. 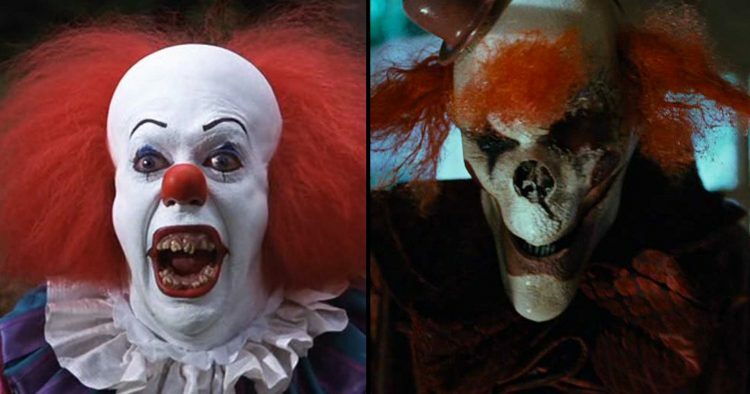 Pennywise may look like an ordinary, colorful clown, but his deranged expressions and demented dialogue continues to frighten both children and adults twenty-seven years later. With a new adaptation of It coming out this year, we can only hope that it is equally chilling. 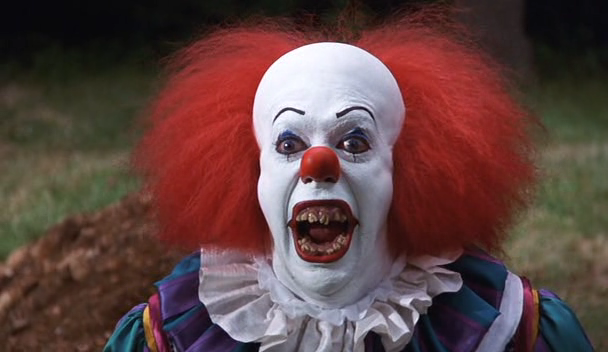 But if not, Pennywise will nevertheless continue to star in many peoples’ nightmares for years to come.